theSANCTUARY’s staff of expert estheticians work with the newest, most technologically advanced skincare equipment and product lines or order to provide you with the best services available. If you are looking for brighter, hydrated, youthful looking skin look no further. As with all of our skin care services, we promise that you will leave your skin treatment feeling refreshed, revived and most importantly: pampered! Our NEW Rezenerate Facial is an advanced facial treatment that can refresh, restore, and renew your skin using Nanotechnology to temporarily create micro-channels in the skin’s surface, allowing products and nutrients to be deeply penetrated to the dermal layer where collagen stimulation happens. This cutting-edge facial increases hydration by plumping the cells, minimizes fine lines and wrinkles, improves tone and texture, and tightens the skin. We use a variety of high end serums to target specific conditions like hyperpigmentation, oily skin, anti-aging, breakouts, dry skin, redness and more. This is the future of beauty! Thread Lift Therapy is an innovative technology that rejuvenates and restores youthful contours to the skin with zero downtime or discomfort! It provides a superior lifting, smoothing and toning effect to dramatically reduce the appearance of wrinkles and sagging in areas such as the brows, cheeks, neck, and jowls. It also effectively firms any area of the skin that is prone to sagging and volume loss due to aging or poor muscle tone. A facial of the future! Our NEW Peptide-Lift Facial utilizes advanced medical peptides designed to tighten + lift skin, diminish wrinkles and repair damaged cells. Using a unique blend of synthesized medical peptides this advanced aging treatment help to repair and rebuild skin on the cellular level. 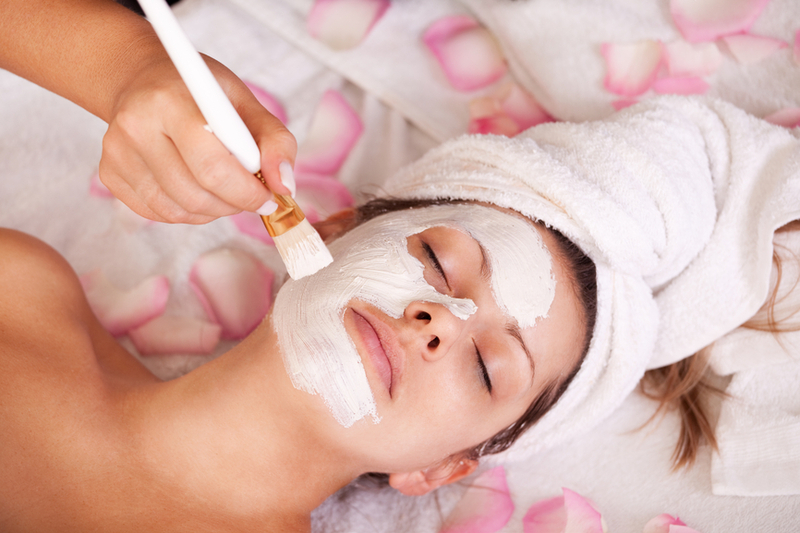 This customized peptide facial is tailored to each clients unique aging needs. This hour long treatment includes an advanced exfoliation (either peel or microdermabrasion), a customized medical peptide dermal infusion, a one of a kind nano-peptide mask and LED light therapy. Ready, set, GLOW! The ROLEX of advanced skin care and facial treatments! A combination of 4 different clinical modalities that are designed for immediate RESULTS! A non-invasive skin rejuvenation treatment that resurfaces the skin by exfoliating and removing the superficial layer of dry, dead skin cells. This sought after treatment leaves the skin, softer, smoother and more youthful! An excellent service for aging/aged skin, hyperpigmentation/staining and overall radiance. This clinical treatment includes microdermabrasion and a customized peel. This service includes our microdermabrasion treatment with our signature facial to include steam, extractions and mask and hand massage. A combinations of 3 modalities to give your the ultimate skin resurfacing. Great for aging, acne, pigmentation and overall skin health. Since acne is unpredictable and varies greatly from person to person – this advanced clinical facial is designed to be completely customized with a combination of our advanced therapies (such as LED Therapy, Microdermabrasion, Hydro – Derm and/or Peels). This Advanced Acne Facial uses a combination of advanced clinical modalities, thorough extractions and anti-inflammation treatments to tailor each facial to the clients specific needs. This new offering utilizes our traditional dermaplaning technique with a dermaplaning-specific hydrating, nourishing oil and hyaluronic acid hydro jelly mask! Hydro-Facials are great for EVERYONE! This treatment helps greatly reduce signs of aging, pigmentation, oily + congested skin, enlarged pores and so much more. Results are always quenched, radiant skin! This treatment combines dermaplaning with a hydro-derm treatment. Designed to leave the skin smooth and hydrated. The outcome is a glowing, youthful complexion! This is a great treatment before a big event! Not sure which treatment is right for you? Schedule a FREE consultation today or give us a call and speak with a licensed esthetician to answer any of your skin care questions! For enhanced results, it is recommended that you do a series of treatments or are on a scheduled cycle every 4-6 weeks.